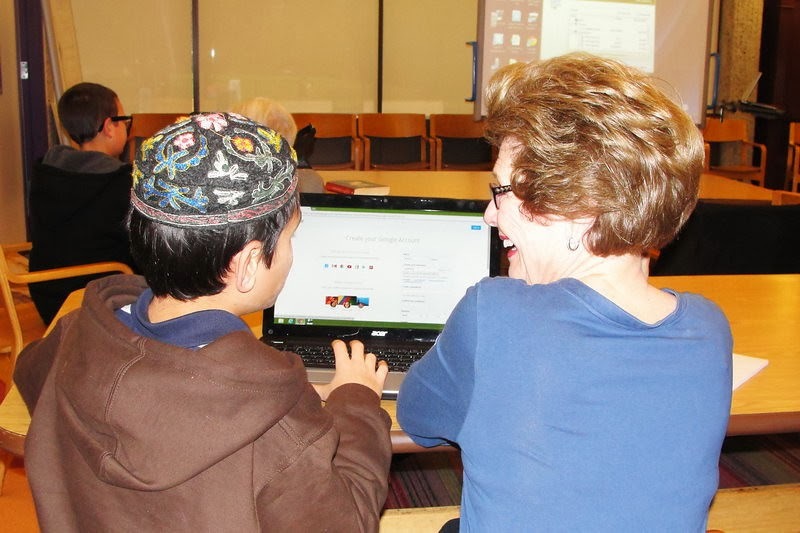 For the second year Adat Shalom Synagogue brought two generations together for “Tech Connect.” This program, conceived of by Charlotte Dubin and endowed in memory of her late husband Harold, has Jewish teens teaching the older generation about new technology. Tech Connect II took place on two Sundays at the Farmington Hills-based Conservative synagogue. As I did at the inaugural Tech Connect, I opened the program with some thoughts on how technology has changed our lives. After speaking about how the Internet can be used these days to do everything from purchase an airline ticket to order photo prints of grandchildren to download a new pattern for the sewing machine, I watched as savvy teens assisted computer-challenged boomers with notebook computers and tablets. It struck me that this program should be replicated around the world because there are many Boomers and seniors who do not have young grandchildren around to help learn today’s tech gadgets. 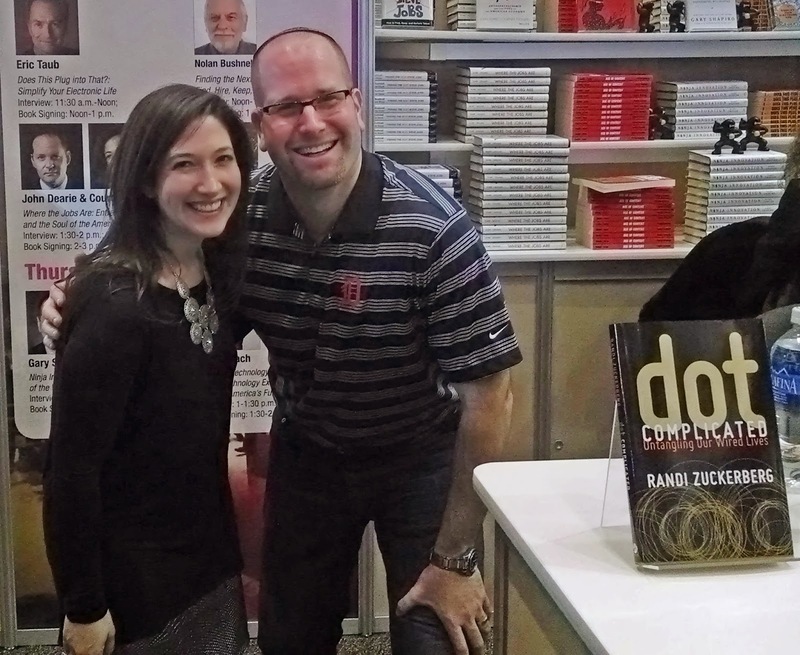 In her book “Dot Complicated,” Randi Zuckerberg writes about something that many of us have recognized. The older generations learn from the younger generations when it comes to computers and technology. I can’t count the number of times an adult has remarked to me how a child taught them to use a new smartphone. Perhaps this is no different than generations ago when adults couldn’t program a VCR or answering machine and relied on their children to do it. Today, I’m seeing that more than just relying upon the younger generation to simply set up a computer or program a new phone, older adults are looking to teens to educate them. Adults realize that they don’t merely need young people to complete a technological task for them (e.g., book a flight online), but they need to learn how to do these tasks themselves. As I explained to the older folks in the Adat Shalom youth lounge at Tech Connect, decades ago if you wanted to see photographs of the grandchildren you could rest assured that your children would give you the doubles that were automatically printed by the photo lab. Today, if grandparents want to see photographs of their grandchildren they need to have a Facebook account. After all, photos of their grandchildren are on Facebook and there’s a very good chance that no one is thinking to order prints for the grandparents anymore. Further, as I warned the seniors in the room, if they want to talk to out-of-town relatives they need to learn how to video chat with Skype, Google Hangouts or Facetime. Today’s children have grown up with video conferencing and take this technology for granted. There’s just no way around using technology these days. It used to be that older adults could fairly easily opt out of using new technology and it wouldn’t have any negative effect on their lives. If they wanted to keep using their rotary phones they could still communicate with their family who had adopted the new push button phones. Today, however, if a grandfather wants to talk with his grandson who just went off to college he’s more likely to keep the lines of communication open if he’s willing to text message or video chat. Zuckerberg explains that “technology has altered every aspect of our lives, from our relationships to our families to our careers to our love lives. It’s changed how we celebrate birthdays, how we announce major life news, how we define friendships, and we demand customer service.” This is just as true with the younger generations as it is with our oldest generations. However, the use of new media and new technology is second nature to young people while there is a sharp learning curve for seniors. Today’s teens don’t know of a world without texting, Facebook, Twitter, Skype and downloading the latest game for under a dollar from an online application store. Today’s seniors were just getting used to managing their e-mail and now have to learn to setup an Instagram account so they can see their granddaughter’s prom photos. Seniors are increasingly using the Internet in general and social networking sites in particular. Dr. Sheila Cotton at the University of Alabama, Birmingham, recently showed that seniors who used the Internet were about 30 percent less likely to be depressed than seniors who didn’t. Rather than curse new technology, today’s seniors are jumping onboard. And an entire industry has been launched to help seniors navigate their new tech world. The AARP's chief information officer, Terry Bradwell, explained that the organization’s members have expressed a desire for tech training. In that vein, the AARP has entire sections of their website that include video tutorials, blogs and webinars to assist seniors who wish to become more tech comfortable. Since 2010, the organization's book division has published seven new titles on seniors and technology. At the recent Life@50+ Expo in Atlanta, the AARP set up a TEK Pavilion to help seniors learn to use technology, linking them to a whole new world of possibilities. The AARP also recently launched "Takei's Take," a YouTube series hosted by 76-year-old George Takei of the original Star Trek series. In the video series, Takei cuts through confusing jargon and industry lingo to give older people clear, trustworthy guidance on how to use technology to their best advantage. 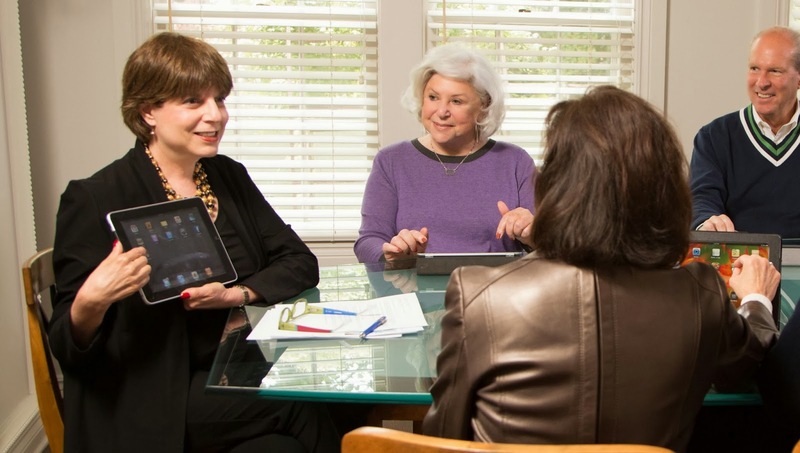 Locally in Metro Detroit, Suzie Mitchell of Clear Writing Solutions has developed her entire writing and consulting firm around the goal of making the transition to a tech lifestyle easier for seniors. 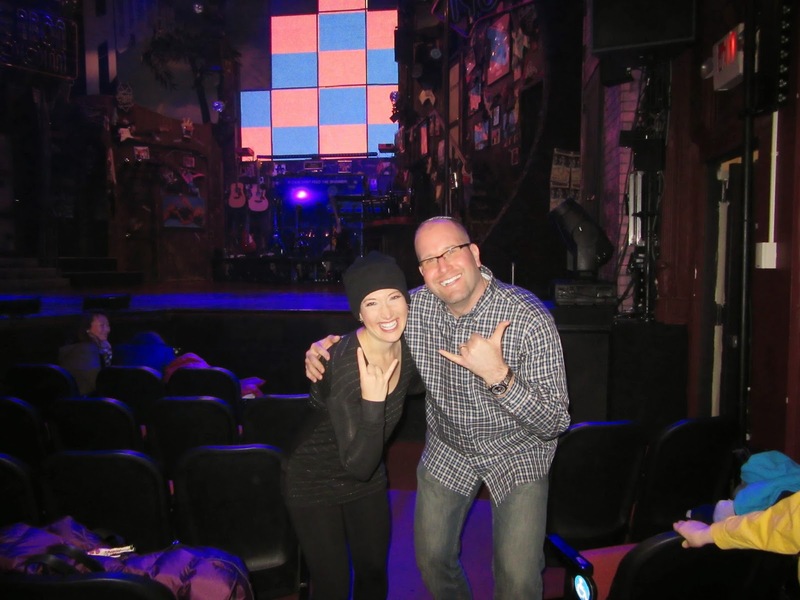 A blogger for the AARP, Mitchell focuses exclusively on mobile training and marketing digital health products to the 50+ audience. She explains, “When it comes to technology, many Boomers and seniors often get lost in the directions or have a hard time grasping a product’s usefulness.” Mitchell helps seniors with mobile technology and also consults the mobile app makers trying to reach the older generations. As the digital age continues at the speed of light, it’s essential that all demographics are participating fully in this tech revolution. We can’t forget that Boomers and seniors have a much harder time adapting to all of this new technology and it’s the responsibility of the younger generations to help them out. The AARP and tech experts like Suzie Mitchell are ready and able to make Boomers and seniors more comfortable with today’s technology. Programs like Adat Shalom’s Tech Connect are exploiting the knowledge of teens to teach their grandparents’ generation how to make the most of the Internet and new technology. The end results are closer bonds between the bookend generations and the further bolstering of our amazing digital age.